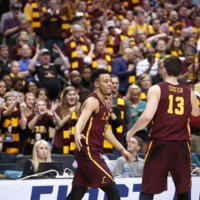 Share your memories of the Ramblers in the March Madness 2018 Men's Basketball NCAA Tournament. Explore the Collection: See the memories others have submitted. 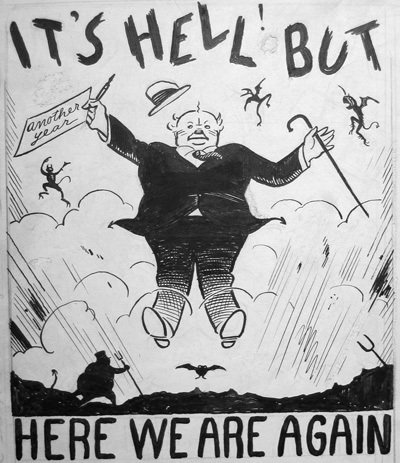 Arthur Henry Young, better known as Art Young, was an American political cartoonist and artist. He was born in 1866 near Orangeville, Illinois, but his family moved to Monroe, Wisconsin shortly afterwards. Young moved to Chicago in 1884, where he studied at the Academy of Design and worked for the Daily Mail and Daily News. He began working for the Chicago Inter-Ocean in 1892, but left in 1895 to work briefly for the Denver Times before moving to New York. 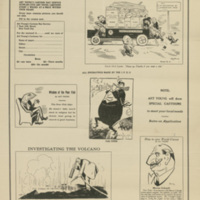 Some of Young’s early cartoons reflect the Republican politics of his editors, politics which he largely shared. In New York, however, Young embraced socialist politics and became a frequent contributor to the The Masses, the Yiddish satirical magazine Der Groyser Kundes (“Big Stick”), and other socialist publications, even becoming a founder of the socialist magazine Good Morning. He also contributed regularly to mainstream publications like Puck, Judge, and Life. 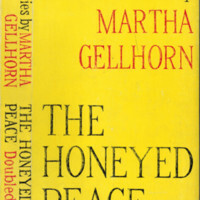 Young published a number of books, including several which, inspired by Dante’s Inferno, featured updated versions of Hell that reflect Young’s worldview: Hell Up to Date (1892), Through Hell with Hiprah Hunt (1901), and Art Young’s Inferno (1934). Young also had a strong sense of his own importance—he published two autobiographies, On My Way (1928) and Art Young: His Life and Times (1939), and many of the items presented in this exhibit are available only because he saved the majority of his original drawings. Welcome to Mollie West: A Century of Activism! This online exhibit will outline the significant events of labor activist and leader Mollie Lieber West’s life and work. Using the materials preserved in Mollie West’s archival collection at the Women & Leadership Archives, the exhibit will tell the compelling story of one woman’s experiences during some of the most significant events of the twentieth century including the Great Depression, the Memorial Day Massacre, and World War II. This digital history project explores Mollie Lieber West’s memorable life through time via an interactive timeline that depicts photographs, audio, and transcripts of correspondence. To explore individual items in the collection, click on the 'Browse Items' link on the left sidebar. The 19th and 20th centuries are rich with the literary works of women writers who, previous to that point, were largely dismissed by patriarchal attitudes and other societal restraints. A number of women authors between these two centuries received literary fame for their works, but for many, the recognition of their work has declined over time. 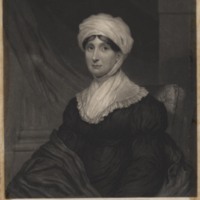 A book from the University of Otago in New Zealand, In Her Hand: Letters of Romantic-Era British Women Writers in New Zealand Collections inspired this exhibit as a way to pay respect to women writer's whose names and works have been widely forgotten. In this exhibit, five women writers, Joanna Baillie, Alice Brown, Mary E. Wilkins Freeman, Louise Imogen Guiney and Sarah Orne Jewett, and their letters are presented. All of these women established themselves in literary circles throughout the United States and the United Kingdom and produced great works of literature, poetry, drama and essays. Through their letters, we gain a glimpse into the personal lives and relationships of these literary experts. All letters are from the Autograph Collection at the Loyola University Chicago Archives and Special Collections. In May 1986, Loyola University Chicago awarded Ignacio Ellacuría, S.J., rector of the University of Central America in San Salvador and a well-known liberation theologian, an honorary doctorate. Three years later, he was one of the six Jesuits, along with their housekeeper and her daughter, brutally murdered in their shared home on the university’s campus. The tragedy of the Salvadoran Martyrs became an impetus for worldwide activism and solidarity with the peoples of El Salvador and a call for a broader movement to end U.S. aid to El Salvador. This movement was alive and well at Loyola. This exhibit reveals the ways in which faculty, staff, and students at Loyola responded to the conflict in El Salvador and the murder of Fr. Ellacuría and his fellow priests. 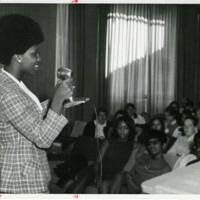 Using archival footage of Ellacuría's visit to Loyola, as well as images and documents from a variety of sources, this exhibit shows how Loyola played a central role in the solidarity movement in the 1980s and early 1990s. From its founding in 1939 to today, the Legion of Young Polish Women (Legion Młodych Polek) has remained an enduring non-profit organization within Chicago’s large Polish-American community. For over 75 years, the Legion has worked to support the people of Poland, Polish immigrants, and Polish-Americans through funding charitable organizations, supporting cultural events, and promoting Polish heritage. This exhibit traces the history of the Legion of Young Polish Women from its founding at the beginning of the Second World War (WWII) to the present. The exhibit is divided into four sections; the first three sections are arranged thematically, exploring the Legion’s founding and early years (1939-1950), the organization’s activities and causes, and its iconic events. The final section of the exhibit explores how the Legion of Young Polish Women has continued to remain a vital part of Chicago’s Polish-American community and what it means to its members. 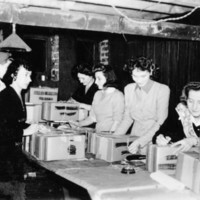 The exhibit was created utilizing materials from the Legion of Young Polish Women Records at the Women and Leadership Archives. 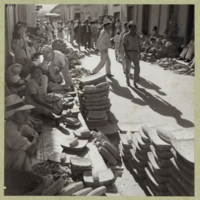 Sources included newspapers, correspondence, photographs, administrative and financial documents, programs, and audio-visual material found in the collection. Additional contemporary interviews for this exhibit were conducted with members and supporters of the Legion of Young Polish Women and have since become part of the archival collection. 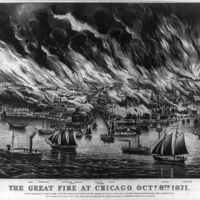 Didactic material to accompany G is for Gorey—C is for Chicago, prepared by Thomas Michalak, Curator. May 1970 witnessed a Mundelein College unlike any other. 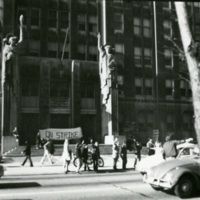 From students picketing down Sheridan Road to demands for better funding of Black student organizations, campus-wide debates to dorm room arguments, the antiwar and civil rights movements of the late 1960s exploded onto the Chicago campus. Mundelein College, a Catholic all-women’s school in North Chicago, was no stranger to student activism. 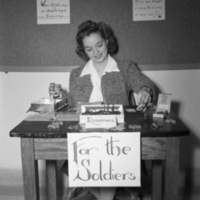 In the 1940s, co-eds baked pies for GI soldiers. 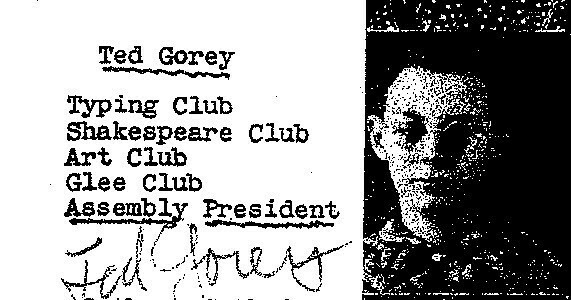 In the 1950s, Young Republicans started campaigning. And in the 1960s, students revolutionized their curriculum to allow for more self-directed study. In many ways, civic engagement at Mundelein College mirrored the same student protest happening in universities across the United States. On the other hand, Mundeleinites expressed their social vision in ways undoubtedly shaped by their education at a women’s Catholic college. This exhibit traces the history of student activism at Mundelein College from the 1940s through the early 1970s. In particular, the exhibit shows the ways in which students took part in the Antiwar and Civil Rights Movements, which eventually came to a head in May 1970. This exhibit Activist Mundelein explores the history of civic engagement through a collection of audiovisual materials, most significantly the Mundelein College Oral History Project. Other sources, including newspapers and photographs, strengthen the exhibit’s main arguments. The exhibit includes four sections: Activist Mundelein, 'We started in '68,' Antiwar Mundelein and May 1970. Mundelein College, founded in 1930 by the Sisters of Charity of the Blessed Virgin Mary (BVMs), affiliated with Loyola University Chicago in 1991, at which time it stood as the last all-women’s college in Illinois. Click here for a time line of Mundelein’s history. As a powerful organization of women committed to reform, education, and philanthropy, the Chicago Woman’s Club (CWC) played a critical role in late nineteenth and early twentieth century Chicago. The pages below explore how the Club emerged during a period of high hope and intense anxiety in Chicago. They then investigate the women of the CWC and how they went about the “practical work” of reform. In particular, this exhibit explores how and why clubwomen worked with criminal women and delinquent children. Ultimately, “Practical Work” considers the ways in which clubwomen shaped ideas about crime and proper womanhood at the turn of the twentieth century. 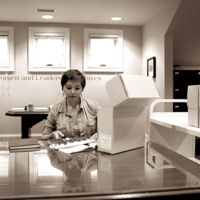 “Practical Work” draws heavily from the collection of CWC annual announcements and images at the Women and Leadership Archives at Loyola University Chicago, in addition to utilizing Club minutes housed at the Chicago History Museum. A remarkable characteristic of the Society of Jesus during the period of its first founding (1540-1773) was the involvement of its members in the sciences. The reasons for this interest in scientific study can be found in the nature and mission of the order itself. Saint Ignatius Loyola considered the acquisition of knowledge and the performance of mundane labor as spiritually profitable tasks, and this fostered in the Society an action-oriented, utilitarian mentality sympathetic to scientific study. 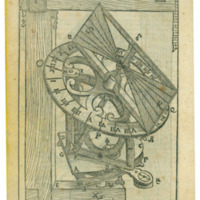 In addition the role of the Society as the "schoolmasters of Europe" meant that the pedagogically (and scientifically) useful principles of rationality, method, and efficiency were highly valued. The tight-knit organization of the Society created among its members habits of cooperation and communication, essential for the gathering and exchange of scientific information. Finally, mission work in Asia and the Americas gave the Jesuits opportunities and impetus to study and record the phenomena of these new worlds.